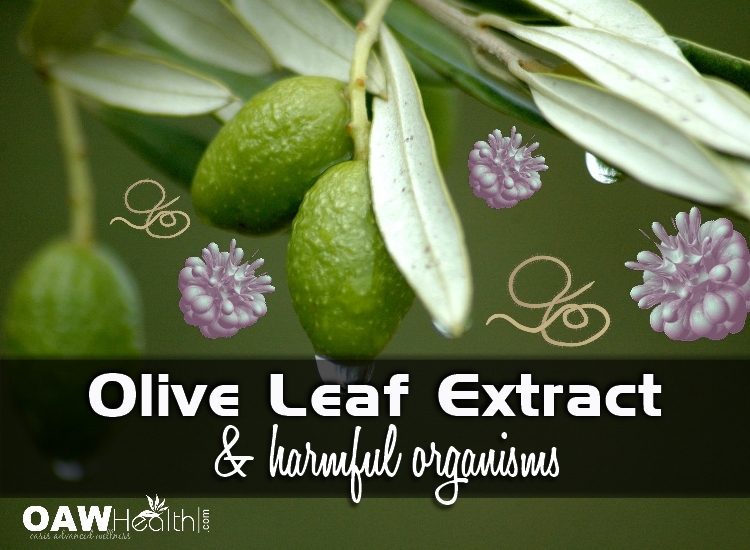 The use of olive leaf extract for harmful organisms and parasites goes back many centuries. Some people believe that the olive tree is referred to as the “Tree of Life” in the Book of Genesis. Ancient Egyptians may have been the first to employ the olive leaf as part of the mummification of their royalty. And Hippocrates, the father of medicine, used olive oil to treat ulcers, cholera, and muscle pains more than 2500 years ago. The Mediterranean olive tree, Olea europaea, actually defends itself against harmful organisms such as bacteria, fungi, parasites and insects through eutrophic compounds it produces. 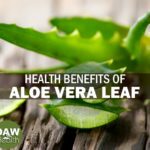 Its leaf extract has been popular in herbal remedies as well as benefiting individuals for 150 years. The active nutrient in the olive leaf is oleuropein, a phenolic glucoside (structurally classified as an iridoid). The olive leaf also contains the bioflavonoids rutin, luteolin, and hesperidin, which work synergistically with oleuropein to enhance its natural activity. Research shows that proper balance of intestinal bacteria promotes both healthy digestion and a good immune system. Research also indicates that because Olive leaf extract can help maintain bacterial balance in the intestines, it can also benefit the immune system. Of course, a properly functioning digestive tract can also ensure that your body absorbs more nutrients from foods or other supplements‚ which allows your entire body to benefit. Olive leaf has an ability to interfere with critical amino acid production essential for viruses. Olive leaf has an ability to control viral infection and/or spread by inactivating viruses or by preventing virus shedding, budding or assembly at the cell membrane. Olive leaf extract has the ability to directly penetrate infected cells and stop viral replication. 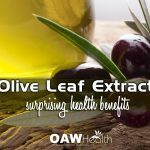 Olive leaf can stimulate a process called phagocytosis, an immune system response in which cells act like little Pac-Man, ingesting harmful microorganisms and foreign matter. In vitro studies have found olive leaf extract is effective against over 50 common disease causing organisms including viruses, bacteria, fungi and protozoa such as herpes, influenza A, Polio 1, 2, and 3; Salmonella typhimurium, Candida Krusei and Coxsackie A21. Oleuropein percentage should be over 10%. Preferably 17%-20%. For some very sick individuals, including people with chronic fatigue syndrome or particularly heavy loads of virus or bacteria in their bodies, olive leaf extract may possibly generate detoxification symptoms — known as the “die-off effect” — that may be unpleasant. The “die-off effect,” or Herxheimer Reaction as it is medically called, refers to symptoms generated by a detoxification process. If you are sick and use Olive Leaf Extract, you should be aware of the possibility. For this reason it may be advisable to consult first with a holistic health practitioner before using it. Olive leaf extract is potent and usually does its job quite well. “Die-off” symptoms can begin almost immediately after starting Olive Leaf Extract. Symptoms may include extreme fatigue, diarrhea, headaches, muscle/joint achiness or flu-like symptoms. Severity usually differs from person to person. Keep in mind that such symptoms are positive signs. Nevertheless, they can be unpleasant and inconvenient. Some people may not want to continue because of the inconvenience. Others handle it better. Others experience no such effect. Here’s what to do in case of substantial detoxification symptoms: Drink at least 4-6 cups of purified water between each dose. Reduce the number of capsules, or even stop them altogether for a while. You may need a day or two, or even a week, to allow your body to process the “die-off.” When you feel better, you can resume the supplement at a low dose and increase slowly. Vitamin C to bowel tolerance is also recommended for “die-off” symptoms. Due to a possible decrease in blood sugar levels, taking olive leaf may increase the effects of insulin and oral drugs for diabetes, such as: Actos, Avandia, glimepiride, glipizide, glyburide, Glyset, metformin, Prandin, Precose. 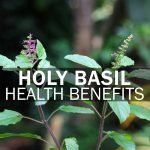 Because olive leaf may decrease blood sugar levels, taking it with other blood sugar-lowering herbal products may result in hypoglycemia–blood sugar that is too low. Herbals that may reduce blood sugar include Eleuthero, Fenugreek, Ginger (in high amounts), Kudzu, Panax ginseng. Markin D, Duek L, Berdicevsky I. In vitro antimicrobial activity of olive leaves. Mycoses. 2003 Apr;46(3-4):132-6. Pereira AP, Ferreira IC, Marcelino F, Valentão P, Andrade PB, Seabra R, Estevinho L, Bento A, Pereira JA. Phenolic compounds and antimicrobial activity of olive (Olea europaea L. Cv. Cobrançosa) leaves. Molecules. 2007 May 26;12(5):1153-62. Cruess WV, and Alsberg CL, The bitter glucoside of the olive. J. Amer. Chem. Soc. 1934; 56:2115-7. Panizzi L et al, The constitution of oleuropein, a bitter glucoside of the olive with hypotensive action. Gazz. Chim. Ital; 1960; 90:1449-85. Renis HE, In vitro antiviral activity of calcium elenolate. Antimicrob. Agents Chemother., 1970; 167-72. Elliott GA et al, Preliminary studies with calcium elenolate, an antiviral agent. Antimicrob. Agents Chemother., 1970; 173-76. Soret MG, Antiviral activity of calcium elenolate on parainfluenza infection of hamsters. Antimicrob. Agents Chemother., 1970; 160-66. Petkov V and Manolov P, Pharmacological analysis of the iridoid oleuropein. Drug Res., 1972; 22(9); 1476-86. Juven B et al, Studies on the mechanism of the antimicrobial action of oleuropein. J. Appl. Bact., 1972; 35:559-67. Hirschman SZ, Inactivation of DNA polymerases of Murine Leukaemia viruses by calcium elenolate. Nature New Biology, 1972; 238:277-79. Heinze JE et al, Specificity of the antiviral agent calcium elenolate. Antimicrob. Agents Chemother., 1975: 8(4), 421-25. Kubo I et al, A mutichemical defense mechanism of bitter olive olea europaea (Oleaceae)– Is oleuropein a phytoalexin precursor? J. Chem. Ecol 1985; 11(2):251-63. Gariboldi P et al, Secoiridoids from olea europaea, Phytochem., 1986; 25(4)865-69. Zarzuelo A et al, Vasodilator effect of olive leaf, Planta Med., 1991; 57 (5),417-9. Department of Pharmacology and Toxicology, Society of Pharmaceutical Industries of Tunis, Hypotension, hypoglycemia and hypouricemia recorded after repeated administration of aqueous leaf extract of Olea europaea, Belgian Pharmacology Journal, March-April 1994; 49(2), 101-8. Visioli F and Galli C, Oleuropein protects low density liproprotein from oxidation, Life Sciences, 1994; 55(24), 1965-71. Loretta Lanphier is a Naturopathic Practitioner (Traditional), Certified Clinical Nutritionist, Holistic Health Practitioner and Certified Clinical Herbalist as well as the CEO / Founder of Oasis Advanced Wellness in The Woodlands TX. 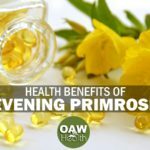 She studies and performs extensive research in health science, natural hormone balancing, anti-aging techniques, nutrition, natural medicine, weight loss, herbal remedies, non-toxic cancer support and is actively involved in researching new natural health protocols and products. A 17 year stage 3 colon cancer survivor, Loretta is able to relate to both-sides-of-the-health-coin as patient and practitioner when it comes to health and wellness. “My passion is counseling others about what it takes to keep the whole body healthy using natural and non-toxic methods.” Read Loretta’s health testimony Cancer: The Path to Healing. 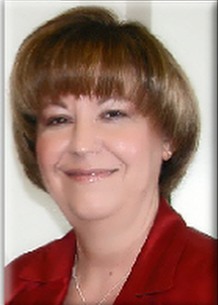 Loretta is Contributor and Editor of the worldwide E-newsletter Advanced Health & Wellness. †Results may vary. Information and statements made are for education purposes and are not intended to replace the advice of your doctor. Oasis Advanced Wellness/OAWHealth does not dispense medical advice, prescribe, or diagnose illness. The views and nutritional advice expressed by Oasis Advanced Wellness/OAWHealth are not intended to be a substitute for conventional medical service. If you have a severe medical condition or health concern, see your physician of choice.